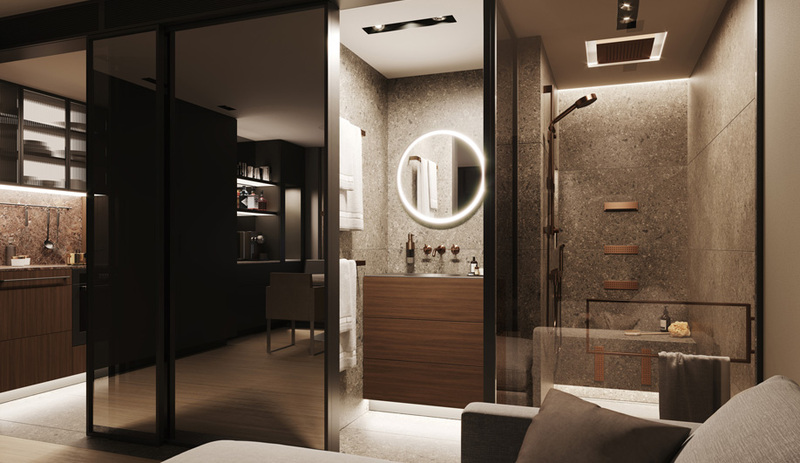 Bathroom faucets from Brizo, Dornbracht and La Torre in new shapes, textures and colours that play with the senses. 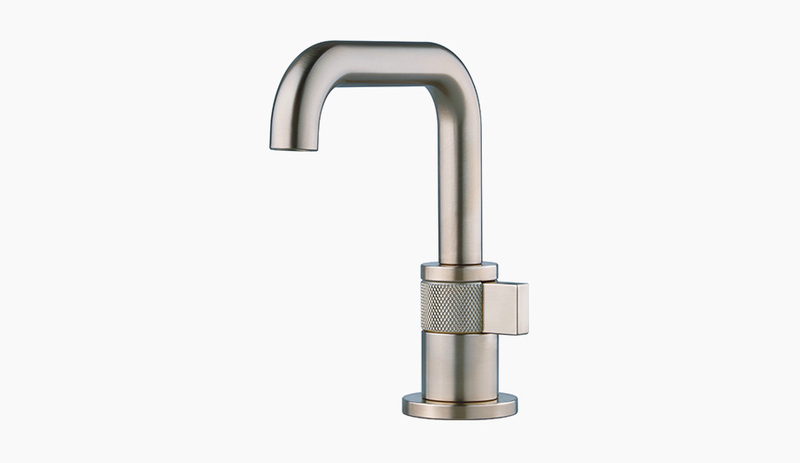 Influenced by Bauhaus, the bent tube spout and knurling detail on this single-handle faucet fuse simple architectural lines with a tactile industrial note. 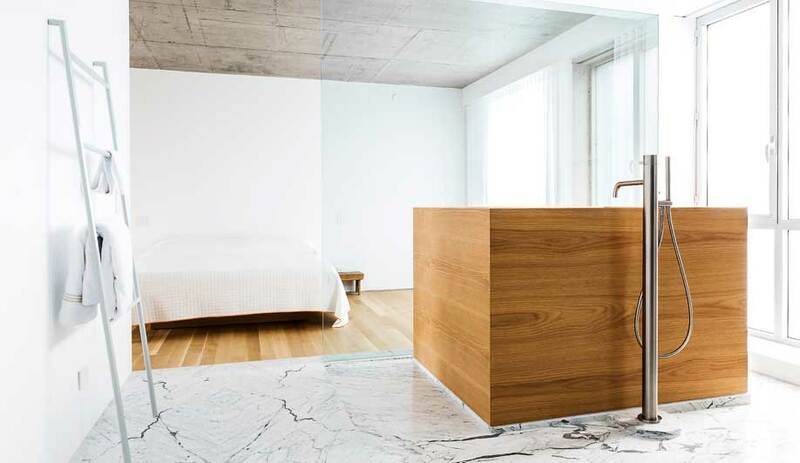 Three handle options are available, with some models offering teak wood accents. 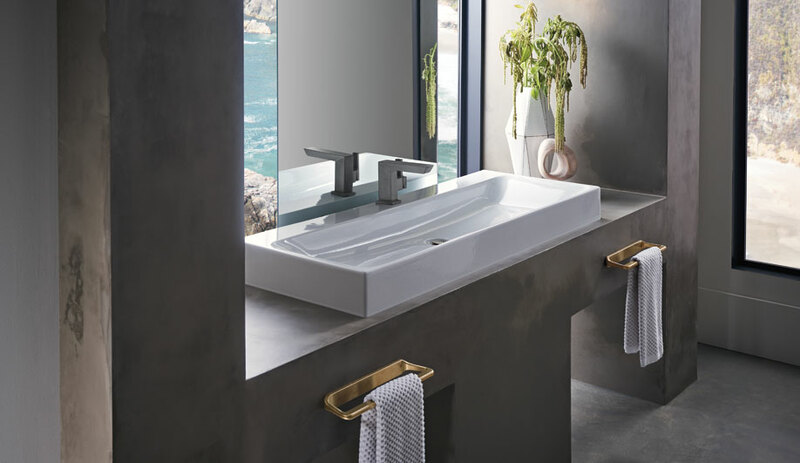 Boasting an angular profile and polygonal details, this faucet by German design firm Sieger Design is a strikingly modern fixture for the bathroom. 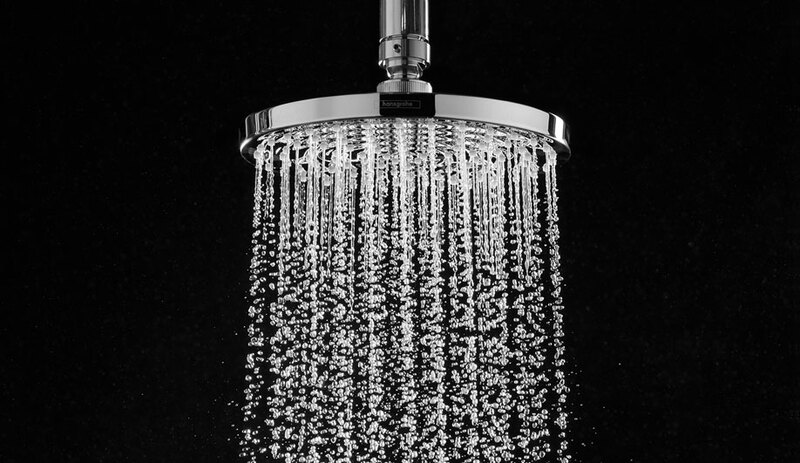 Available in polished chrome (above), platinum and golden champagne finishes. 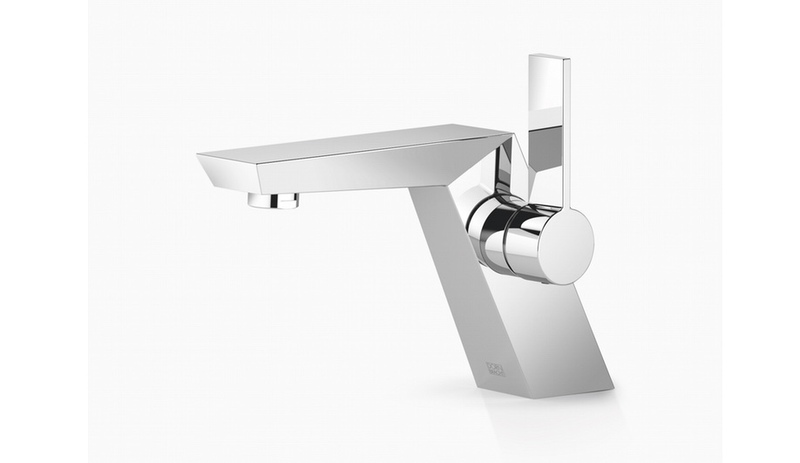 Designer Marco Poletti combined super-polished chrome with unexpected matte white in this faucet, for the Italian brand. 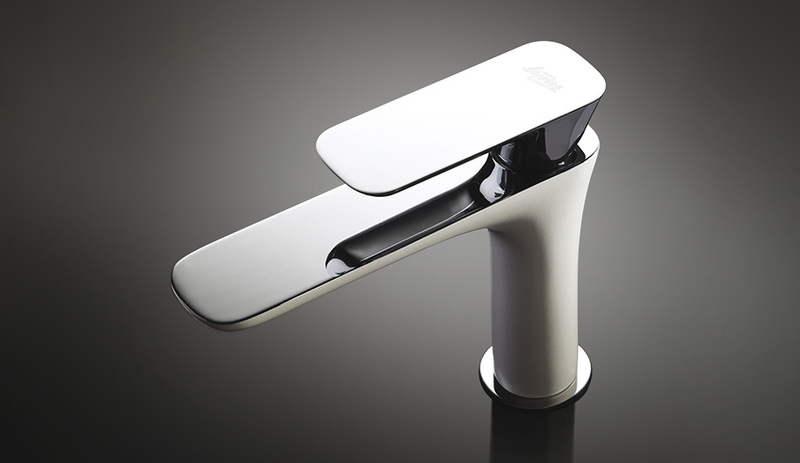 Its stacked, flat lever and spout have a pared back simplicity that lends a modern edge.